The cleanliness of your office space is paramount not only to good morale and heightened productivity among employees, but also to compliance with health and safety regulations in the workplace. For those reasons, it’s imperative you contract a top-quality commercial cleaning company to maintain high levels of cleanliness and hygiene in the office. However, the saturation of the commercial cleaning market means that there are a million and one companies out there, and it’s difficult to know which will provide the quality service you need. Price may well be a factor in your decision, but it certainly shouldn’t be the only one – so here are a list of useful questions to ask a prospective commercial cleaning company before awarding them the job. It might not be the be-all and end-all, but experience does go a long way in almost all industries. A cleaning company who have been around the block are likely to know their business far more thoroughly than one just starting out. 2) What are your hiring guidelines? At the very least, you’d expect the company to screen their employees by checking their criminal records and perhaps asking them to take a drug test. They may also demand certain qualifications, levels of expertise or amounts of experience. 3) What kind of training do you provide to your employees? 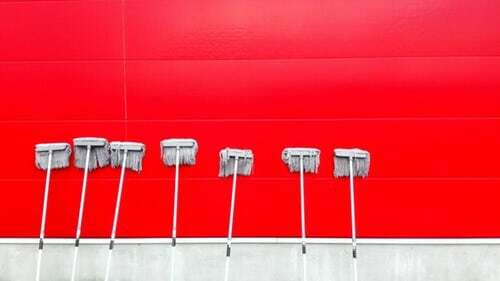 Understanding the level of training and support afforded to cleaners will give you a much better idea of how well-equipped they are to do the job. This is especially pertinent in large companies with a lengthy payroll of employees. Any commercial cleaning company worth their salt will have comprehensive insurance against damages to the premises. If they don’t, it’s an immediate red flag for you to look elsewhere; if you don’t, you might end up paying for their mistakes. 5) Do you offer environmentally-friendly services? Whether it’s waste and recycling services or environmentally-friendly cleaning products that you prioritise most highly, checking out a company’s green credentials can help to differentiate one from another. 6) Will the same people be providing the service every time? If the same individuals are visiting your office on a regular basis, there’s more scope for you to build a personal relationship with them. This may or may not be important to you, but can help to boost workplace morale – especially if the cleaning will overlap with office hours. 7) What is your employee turnover like? Knowing how often the company has to replace their staff will give you a picture of how happy their employees are, how well they treat them and how professional a company they are as a result. 8) What hours are you willing to work? Depending on your unique circumstances, it may be necessary for the cleaning company to provide their services in the middle of the night or at weekends. Checking with them if this is something they offer is imperative to avoid time-wasting for both parties. 9) Can you give me some references? The best indication of how well a company can do their job is hearing reviews from other people. Ideally, you’ll want to see online reviews from impartial parties, over whom the cleaning company has no control, but even hand-picked references will give you an idea of their client portfolio. 10) Do you offer any incentives? Some companies offer discounts for combined packages of cleaning and maintenance services, loyalty rewards or other financial incentives to encourage you to choose them over others. Find out if this is the case to see if it can help you make a decision. « Is Your Office Putting Off Prospective Employees?